After the female-dominated last year and after this summer filled with men, it will be the season for pretty boys. Gang Dong-won, who had stayed inactive after "M", will come back with "Tazza: The High Rollers" Director Choi Dong-hoon's "Jeon Woo-chi". He is the first of the pretty boys, and will play a character who is born again into modern times after being trapped in a picture due to his wasteful life. People look forward to Gang Dong-won's special comedy, which he showed in "Too Beautiful To Lie" and "M", and how it will tie in with his innocent appearance. "JEON WOO CHI : The Taoist Wizard" will be released early next year, but it is already popular due to the union of Director Choi Dong-hoon, Gang Dong-won, Kim Yun-seok, and Im Soo-jung. 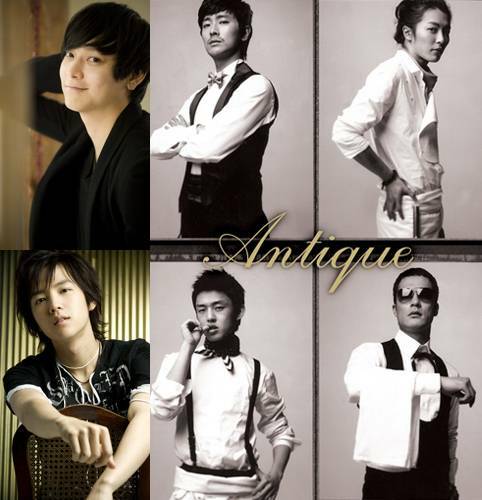 Director Min Gyoo-dong's "Antique", set to premiere this fall, is drawing attention for the union of many pretty boys. Ju Ji-hoon, Kim Jae-wook, Yoo Ah-in, and Choi Ji-ho were introduced recently through movie programs and provoked female sentiment. "Antique" is drawing popularity because of the popularity of a Japanese comic of the same name and the love relationships among the pretty boys. Japanese fans even came to see Ju Ji-hoon on the set, for he is popular in Japan for "Princess Hours". This work is anticipated to be popular in Japan. This work also concluded contracts with a Japanese company at the Cannes International Film Festival. Jang Geun-suk, who captured hearts of older women from a young age, will join in the wave of pretty boy movies. "Baby and I", where Jang Geun-suk becomes a father, is aimed to premiere in fall. Not only Korean pretty boys, but Japanese pretty boys are adorning the screen as well. Satoshi Tsumabuki, who is popular for "Josee, The Tiger and The Fish", will be starring in the Korea-Japan joint movie "Boat" with Ha Jung-woo. Satoshi Tsumabuki has to take care of an object that was smuggled in Korea. Joe Odagiri, who is famous for choosing profitable works and movies that focus on the writer, is another pretty boy. He worked with Lee Na-young in Director Kim Ki-duk's "Dream". The reactions of the movie industry are varied. It may be a coincidence, but it may also have happened naturally, for they take the female audience's interests into heart. Whether coincidence or not, it seems many female audiences who attend the movies will be happy this fall. "Pretty boys overtake the screen... this fall is the season for them"
It is becoming common for actors to go have private tutoring before filming dramas. Many dramas these days have the theme of professionalism, and the main characters want to show the career realistically. Lee Young-ae, Park Eun-hye, Han Ji-min... "One man's women"
Inside of Director Lee Byeong-hoon's works, there are noticeable actresses. Uhm Ji-won, first attempt at historical play with movie "Private Eye"